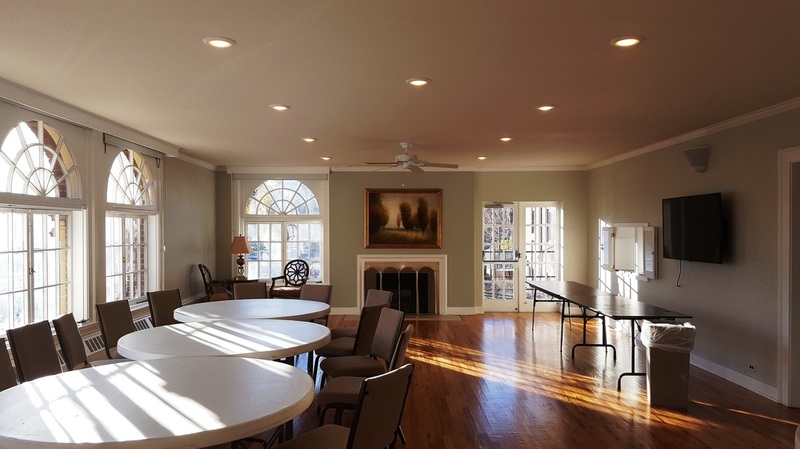 ​WPUMC prides itself as being part of Denver's wonderful Washington Park East neighborhood. 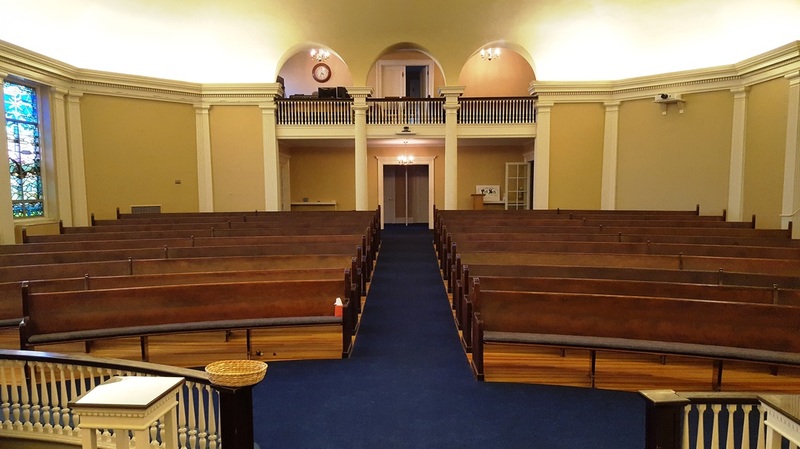 As part of our church’s missional values, we devote ministry efforts to caring for our historic and beautiful building. 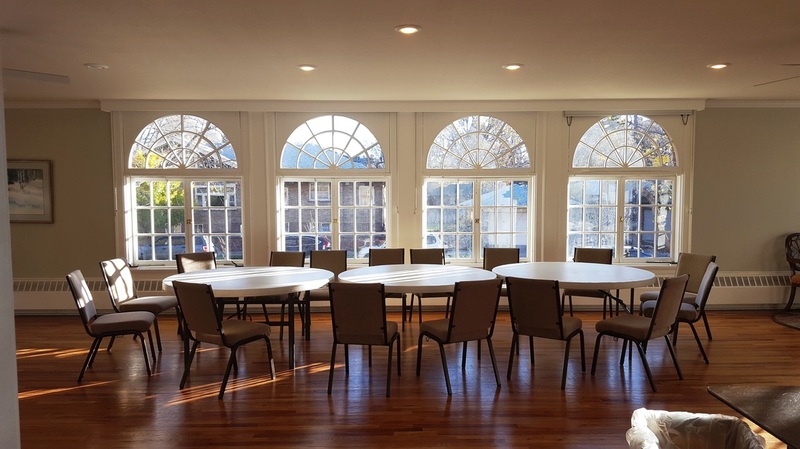 We are a centrally-located church that opens its doors to groups in search of a place to gather for concerts, events, meetings, etc. By renting out our spaces, we hope to develop and deepen an ongoing relationship with our neighbors, who treat the community, our building, and our neighborhood with great respect. If you would like to inquire about one of the following spaces, please contact the church office at 303-777-3043 or office@washparkumc.org. 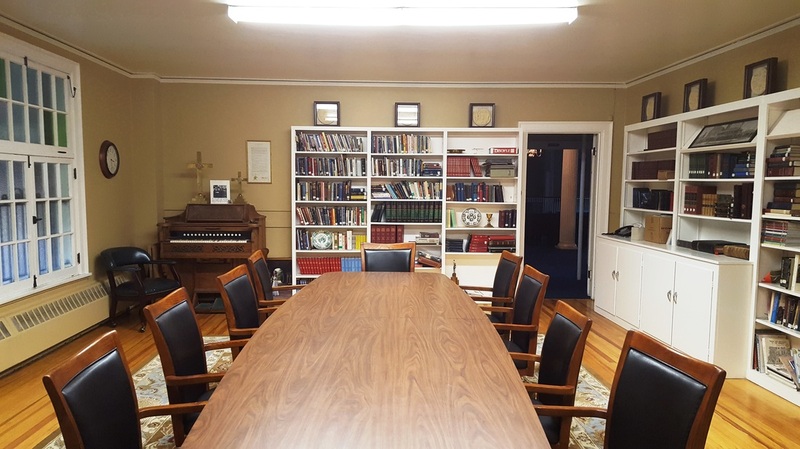 ​WPUMC also hosts baptisms, weddings, funerals, and memorials. Other: There is a stage at the East end of the hall. There are two pianos in Fellowship Hall, but neither are tuned and we do not recommend using them. A speaker system is available with hookup to iPods, phones, boom boxes, etc. Accessibility: Accessible via a ramp on the south side of the church and elevator to the lower level of the building. 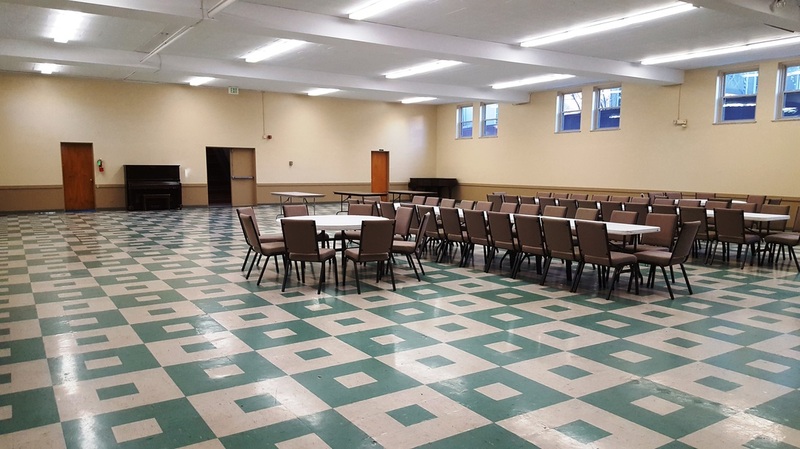 Fellowship Hall Kitchen Use/Access: Free with rental of Fellowship Hall, but please let us know if you plan on using it. 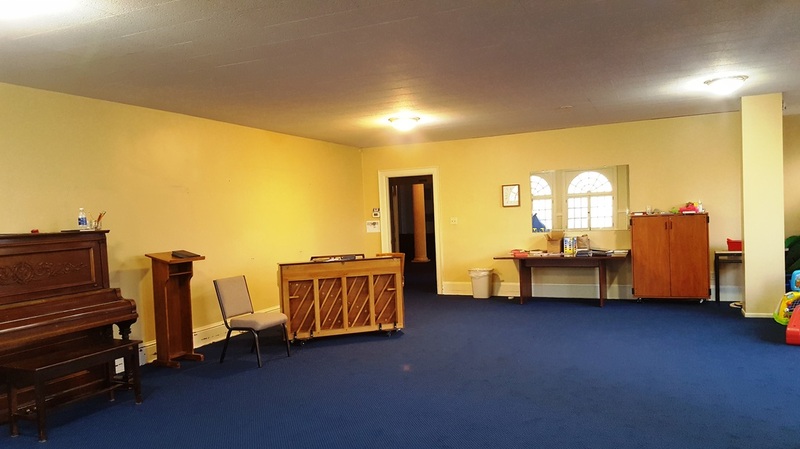 Piano: Free with rental of sanctuary, but please inform the office if you plan to use it. Organ: Not in tune. If needed, renter must pay for tuning. 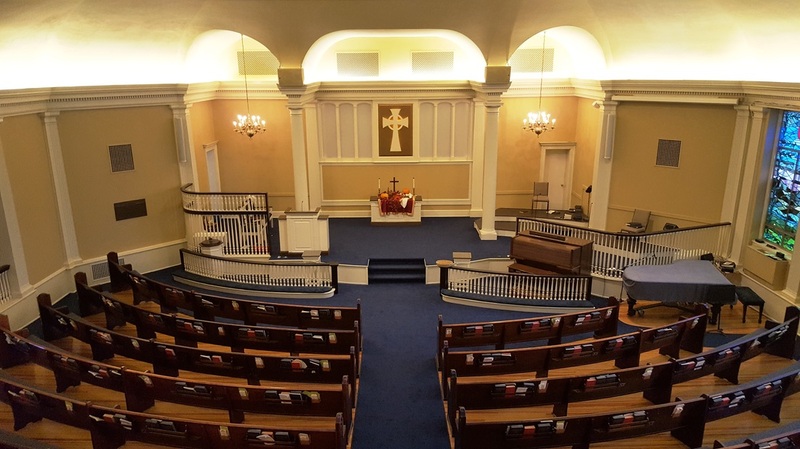 Accessibility: Accessible via ramp on the south side of the church, however wheelchairs are limited to the "jury box" at the south side of the sanctuary. Other: AV equipment is available, including soundboard, projector, and screen. Sound Tech: $25.00/hour is required if using the soundboard for PowerPoints, DVDs, microphones, etc. Other: 40-inch flat-screen with hookups for electronic devices or USB drives. Accessibility: Accessible via the ramp on the south side of the church. Tea Kitchen Use/Access: Free with rental of South Parlor, but please let office know if you plan to use it. Piano: free with rental of North Parlor, but please inform office if you plan to use it. Accessibility: Not accessible to wheelchairs. Seating: 12 Chairs at conference table. Other Furnishings: Whiteboard and TV/VCR are available. Please let the office know if you plan to use them. The antique pump organ is not functional. ​Accessibility: Not accessible to wheelchairs. ​We rent our spaces in 4-hour increments: ½ day = up to 4 hours; full day = 4 hours or more. 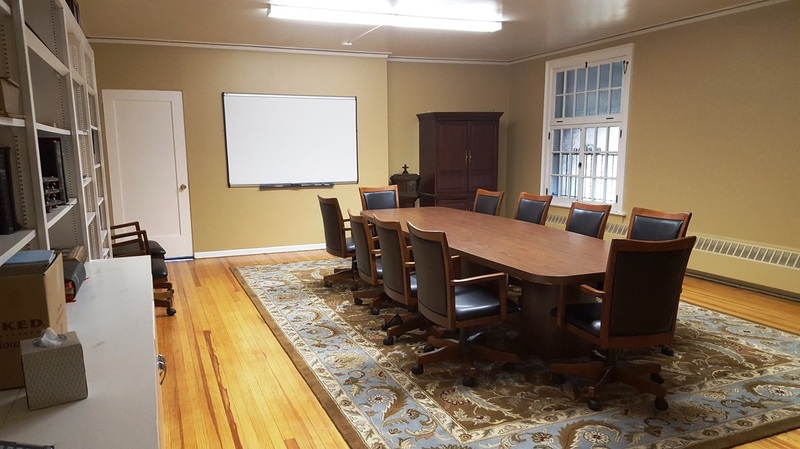 The hours available to rent are from 8:00 am to 9:00 pm. If you need extended hours, your request will be subject to approval and a fee of $15/hour will be assessed. See the church calendar for availability of spaces. Please note that not all events may appear on the calendar; the church office will have final discretion. Contact the church office at 303-777-3043 or office@washparkumc.org to reserve a space. We charge a cleanup fee of $25.00 or $50.00 if attendance is over 100 people. 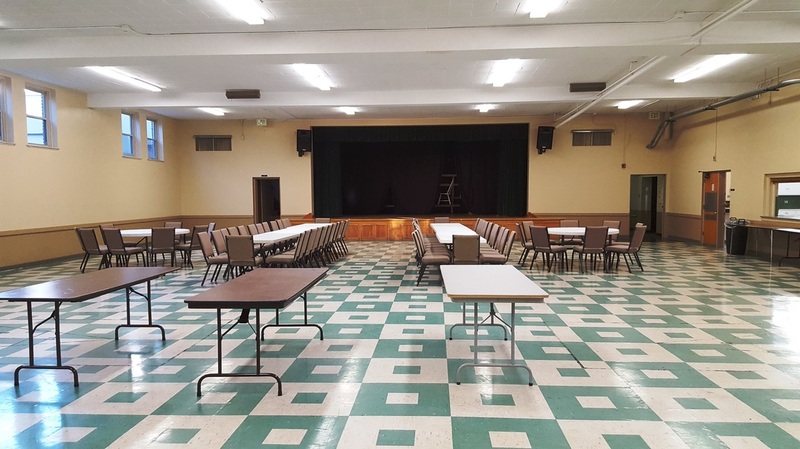 We offer at no charge the use of our tables and chairs, but do charge a setup fee of $25.00 if a specific setup is needed. Linens/Tableware: We do not rent linens or tableware (plates, cups, silverware, etc). All of these items must be brought in by the renter. Please remember “everything you bring in, we ask that you take out”. We do allow guests renting our spaces to have access to our wi-fi network, but please note that in our old building, sometimes the wi-fi signal is not strong. 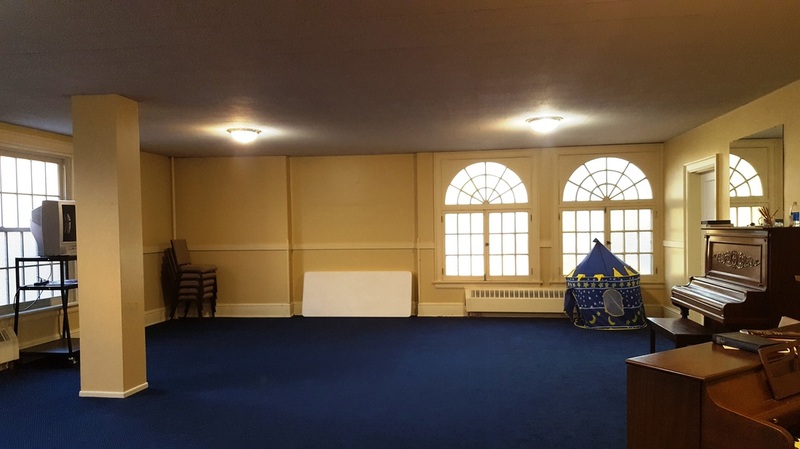 Fellowship Hall cannot access any wi-fi signal. Absolutely NO alcohol is allowed on the premises including the outside property (courtyard, grounds, parking lot, etc.). Smoking of cigarettes is permitted on the sidewalk, but we ask that you dispose of your trash in a proper manner. Smoking/digesting of marijuana is prohibited. Absolutely no candles except in the sanctuary, in which case the candles must be dripless. Absolutely no smoke machines. Fires are not allowed in the fireplace in the South Parlor or anywhere on the property. 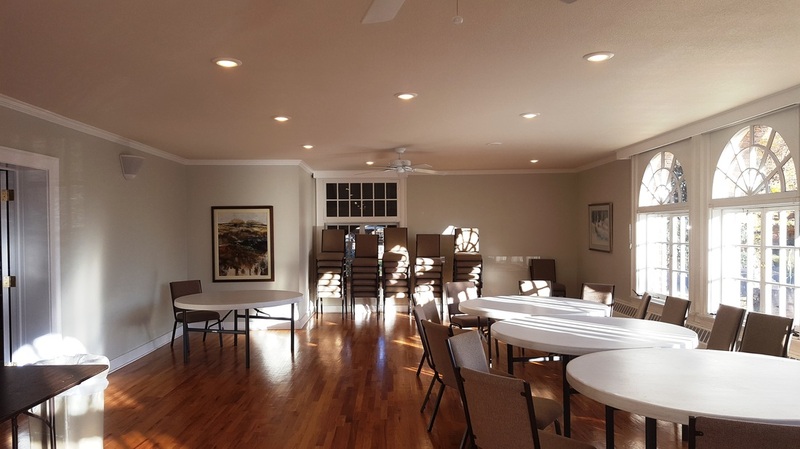 Food and non-alcoholic beverages may be consumed in the South Parlor and Fellowship Hall. We do ask that your group clean up and dispose of all trash. “Everything you bring in, you take back out”. Our cleanup fee includes trash bag disposal. Washington Park United Methodist Church is an inclusive community of faith, accepting people as they are, growing toward fullness of life with God’s creation, through living the teachings of Jesus Christ: Love, Justice, Mission and Hope. We welcome you regardless of race, gender identity, class, age, dress or sexual orientation. Whoever you are, wherever you are in your life, you are welcome here. We ask all parties who rent our spaces to be open to all. We have multiple uses in our building including our Sunday worship, WPUMC preschool, and multiple tenants who have offices in the building. We ask all of our renters to be courteous and respectful. We ask that you remain in the rented space and do not wander through the building. We have an on-site parking lot that has 20 spaces (2 handicapped). There is off-street parking around the church. Please be respectful of our neighbors and cognizant of the “No Parking” signs.